My very favorite place to visit in Victoria is the Butchart Gardens. This is a wonderful way to experience the many beautiful flowers, trees and plants that can grow on Vancouver Island. The Gardens is a 22-acre expanse that is absolutely breathtaking. A wander through the Gardens takes you though an immense number of plants. Orchids, roses, tulips and even butterflies are some of the highlights that can be found there. The Gardens are open year-round and each season brings something special to offer. For example during the summer months, there are fireworks on Saturday nights at dusk. There are also 3 restaurants on site, where one can enjoy a peaceful meal. They even have a gift store that sells seeds of some of the most beautiful plants and flowers. Finally, as an added bonus, check the event calendar before you visit and you may catch some interesting musicians that are scheduled to perform at Butchart Gardens. More information about this grand place can be found at www.butchartgardens.com. This is a very nice website and I would like to say that keep up the good work and I would also like to say that keep working hard. Victoria's butchart gardens review is really very fantastic. I would like to say that this post is really very fabulous. At Buy Trees Online we are dedicated to offering you the best Quality Hedging, Shrubs and trees for sale at the cheapest prices. Great Post, But If possible would you not mind updating your blog with some more additional Useful information. A dental student gets education about filling the teeth. A broken tooth is refillable in dental education. Our writers fill the space with information. Now you can get best essay writing service rated and space of paper with information for your writings. Thanks for taking the time to complete this review, Steve. 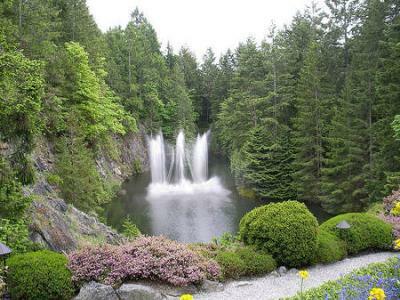 I agree that Butchart Gardens is peaceful and breathtaking at the same time. Nice tip about eating on site too!